Day 12 of our South African wildlife holiday. 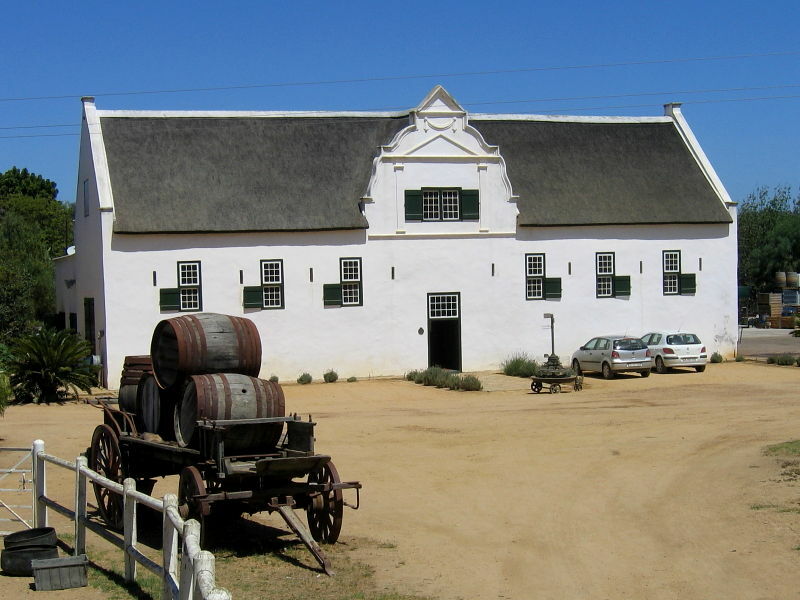 Fresh from the previous days visit to the historic port of Simon’s Town and watching the Cape Fur Seals feeding in the harbour we headed north of Cape Town – destination a winery! 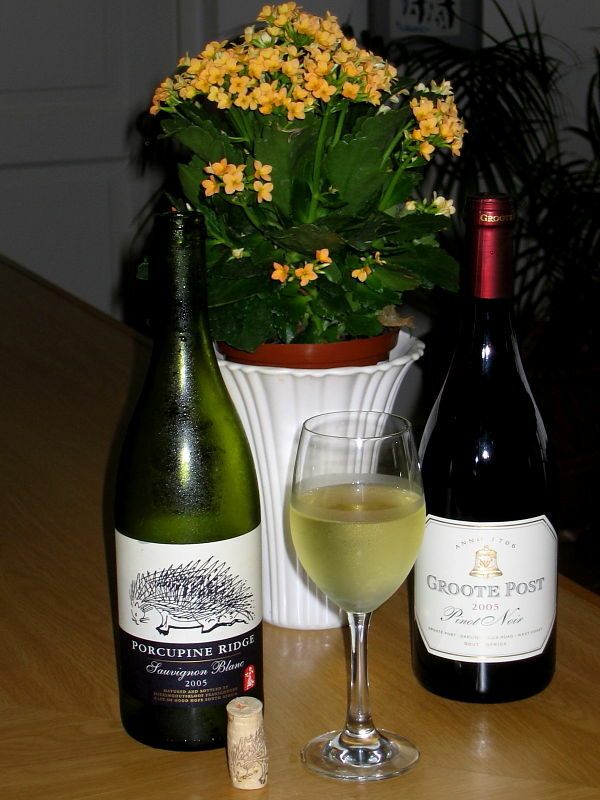 Having charged around for 10 days visiting some of South Africa’s most stunning landscapes and seeing over two hundred different bird species and an assortment of less expected animals – not least the Puff Adder at The Cape Of Good Hope we figured a spot of relaxing culture was long overdue. 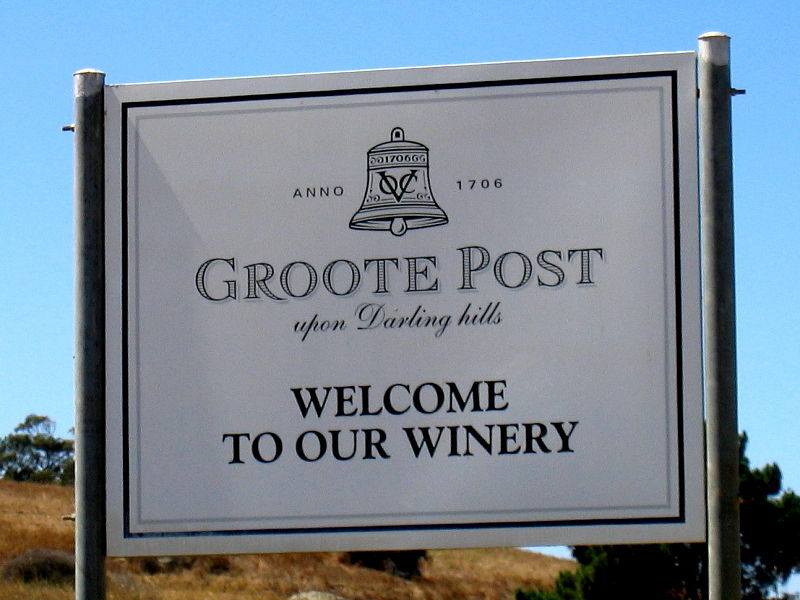 Retracing the drive we’d made earlier in the week across the Darling Farmlands on the way to one of South Africa’s greatest bird watching sites, Langebaan Lagoon, we turned off down a lane to Groote Post Winery. It was like stepping back in time. Despite the investment made in preserving and adapting the buildings in recent years the former farm and guard post felt of another era. 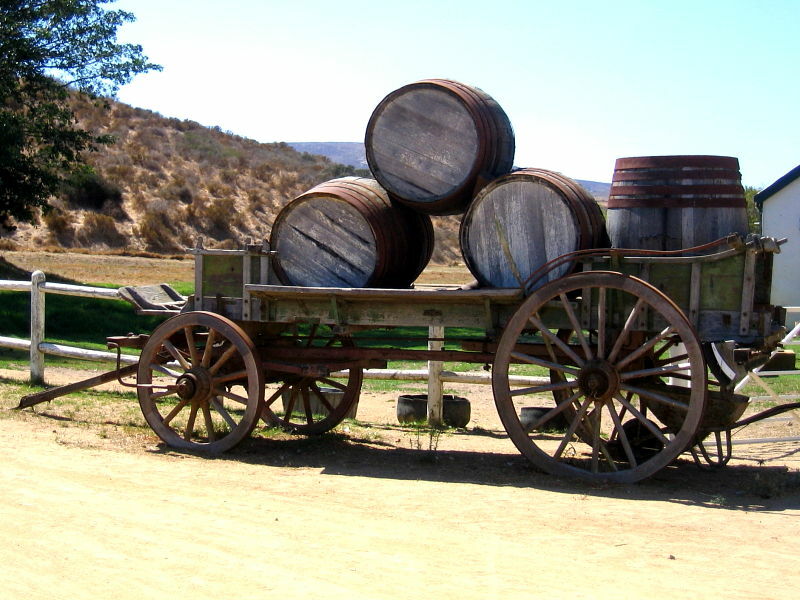 An old wooden cart stacked with old wooden barrels at the entrance didn’t look out of place. 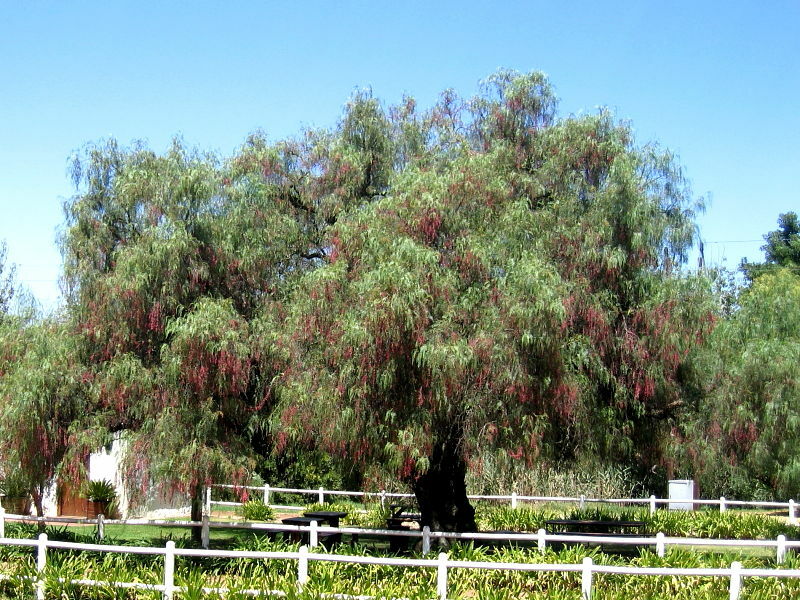 We sat at a table in the shade of a magnificent overhanging pepper tree dripping with cascading pink pepper corns and sipped a cold refreshing drink. 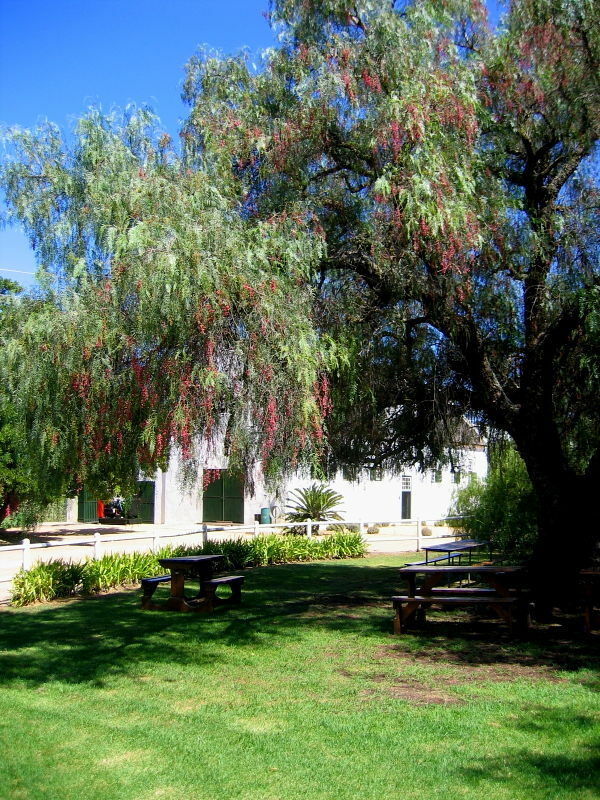 We spent a short time wandering around the grounds before heading off back to the main coastal road and a brief excursion through the West Coast National reserve. 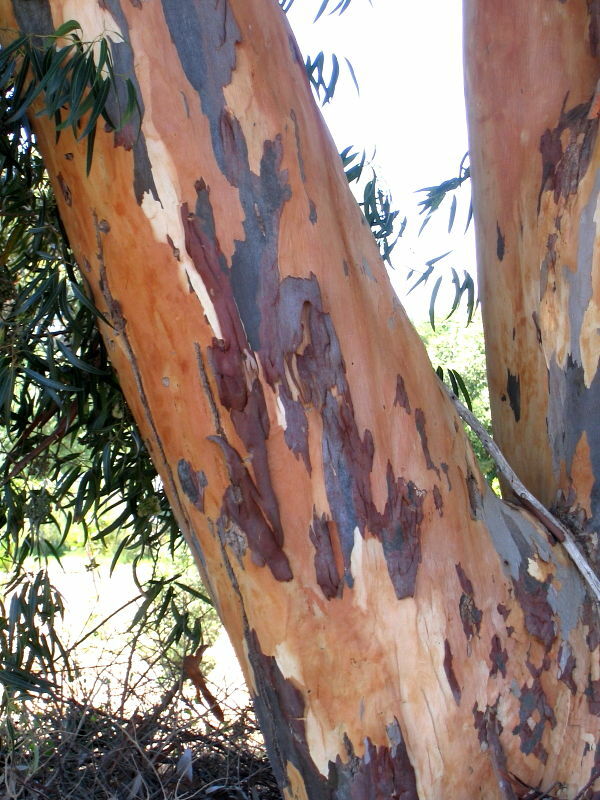 As we drove down a dusty road we passed a Cape Cardinal Woodpecker on a fence post and a number of Eucalyptus trees with peeling bark. As on our previous trip through the Darling Farmlands we saw several species of raptor. Inside the West Coast National Reserve we passed an Ostrich beside the road in the scrub. From inside the car it towered above us. 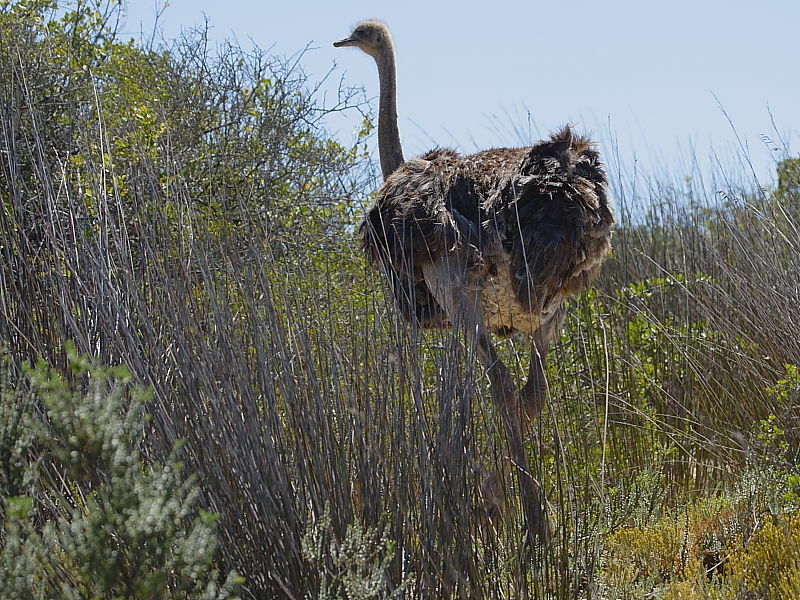 Earlier in our stay we’d seen these huge birds in the The Cape Of Good Hope National Park feeding amongst the sand dunes of the Atlantic beaches. We understood that these huge birds were not true wild birds but descended from stock once introduced onto farms for their feathers which have since become feral. 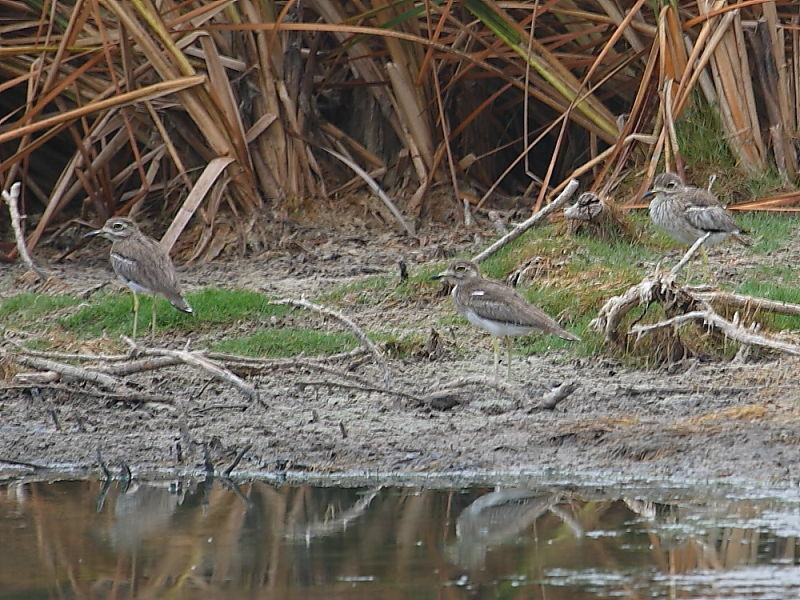 We paused by a small lake and had distant views of a small group of Water Thick-knee standing on the waters edge. On the way back to Cape Town, with the holiday drawing to a close, we began reviewing where we’d been in the last 10 days. 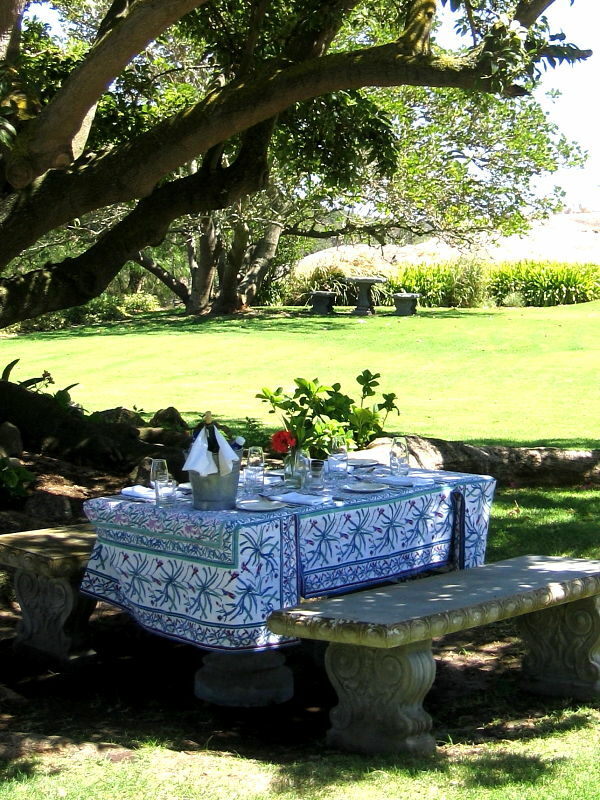 Plans were made to fill in some gaps outstanding in our wish list and revisiting favourite places such as Kirstenbosch, Cape Point and some other nearby spectacular coastal sites. Oh, yes, and we did pop back to Strandfontein– can’t beat a good sewage works!